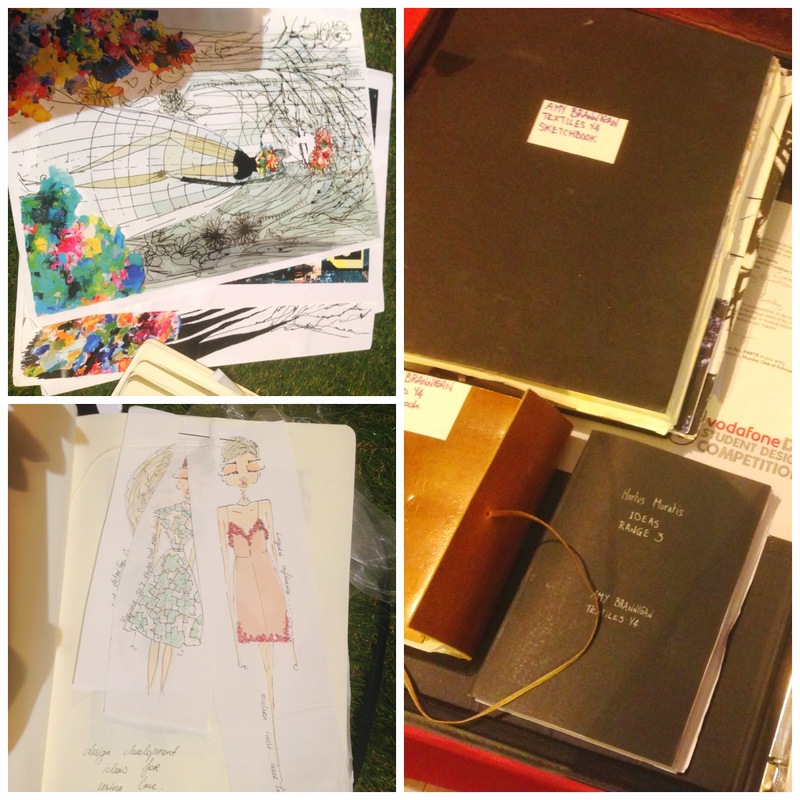 I attended the semi final of DIT Student Design show last week and it was so much fun! It felt so different looking at designs of people who are not looking to score the next job or assignment, not considering conventional rules and practicalities. These were designs that were driven by passion for clothes and you could really see that. Families and friends gathered to watch the creations (the theme was very appropriately: enchanted forest), a lot of the time with tears in their eyes! It was a fantastic evening filled with fashionable, inspiring and committed people. I couldn't possibly judge who did best although of course I have my favorites! Going through sketchbooks and materials that students worked on throughout the design process really added to the experience as well. It's amazing how their inspirations reflect on final design and well, I felt quite creative-less just looking at the amount of swatches, images and drawings. The designs are amazing!! I was a director of this show a few years ago, it's so amazing to see the progression and how much coverage it's receiving!! Such hardworking students are involved from beginning to end! Really enjoying your blog so far!